Codecamp Romania - The official Codecamp Romania blog. A recent report revealed that 40% of companies claiming to be in the AI business do not actually have any real artificial intelligence capabilities. The same study found that when companies did include artificial intelligence and machine learning into their businesses, the use cases were quite ordinary. Some of the most popular ways start-ups used AI included chatbots (26%) and fraud detection (21%). These findings prove that artificial intelligence is currently the most used and, sadly, the most misused concept in technology. Companies are in a hurry to jump into the AI bandwagon without fully comprehending what are the challenges or whether it is possible to add such features to their services. 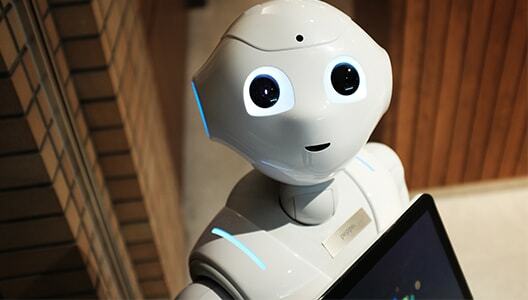 Nevertheless, it is clear that artificial intelligence has started to generate good results and provide added value to businesses in different areas, including retail and fintech. The real question, in this case, is whether companies are actually ready to leverage AI. The current technological context is creating excellent conditions for businesses to start fueling AI operations. Humanity’s access to better computing capabilities has grown exponentially, huge amounts of data have become available globally and computer scientists have learned how to improve their algorithms. All of these are making it possible for AI technology to power real-world applications. But no great advancement comes without its shortcomings. 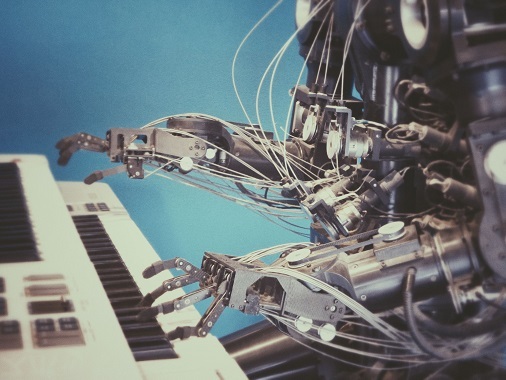 There are a number of challenges businesses and individuals alike need to overcome in order to benefit from everything that artificial intelligence has to offer. Since the beginning of the world, humanity has gone through considerable transformation. Yet, this has not made us less resistant to change. On the contrary, people seem to have become more fearful with any new technological development. If in the 19th century, the Luddites believed that machines will steal their jobs, nowadays, people envision an apocalyptic scenario in which robots take over the world and deem humans obsolete. In this case, companies trying to add AI capabilities might encounter resistance not only from their customers who might not adopt their AI-based products or services, but also from their employees. For instance, several Google employees have resigned from their positions because they did not agree with the company’s AI plans. Even famous figures such as Elon Musk, Mark Cuban and Steven Hawking have argued that AI could pose an existential threat to humanity. In an attempt to reduce the anxiety related to weaponized robots, the leading minds of the tech world, including Elon Musk, have made a commitment not to use artificial intelligence to develop weapons. Artificial intelligence is not a new concept, however, it is only recently that it has gained considerable ground. This means that the skills and knowledge needed to implement AI processes and drive organizational change are just starting to be in demand. A lot of companies, as well as individuals, are rushing to be part of the movement, but they are not trained well enough to deal with it. Moreover, the ones that are equipped to handle this are inevitable drawn by the world’s tech giants that invest in AI, such as Google, Facebook, Amazon and Microsoft, to name but a few. Hopefully, this will be solved once the education system will start preparing the future generations for the AI era. Limited funding could constitute another major challenge when it comes to AI adoption. Stakeholders might choose not to allocate the necessary capital if they are not enthusiastic enough about the initiative. Nevertheless, as artificial intelligence continues to make its mark in major domains, more and more investors are willing to fund companies that promise to revolutionize the way they do business. Codecamp Cluj-Napoca will be back on April 13. Don’t forget to register here. Free access. In the meantime, we want to thank our partners for being with us every step of the way. For most of the Romanian, BRD is a day to day presence, spread all over the country. We are a Top Romanian Bank and one of the companies listed at BVB. We have also a long history. Descendent of the National Industrial Credit Society, created in 1923, BRD was initially the Investment Bank of the Romanian country before becoming, in 1990, a universal bank. In 1999, Societe Generale became the majority shareholder of the bank. The French bank, one of the biggest from the euro area, with 145.000 employees in 66 countries and over 31 mil. Clients from all over the world, transferred in Romania know-how that allowed us to become shortly one of the leaders of the Romanian market. We constantly are looking to innovate ourselves, while offering to wide public programs and products tailored, from kids to students and businesses of different sizes, comfort and security. We have 2.3 mil clients and 780 branches. Our activity covers three major business lines: retail and IMM, big corporations and investment banking. With over 7.500 employees we are one of the biggest banking employers. BRD is an important economic actor in the local economy but also we are an active social player, involved in the community through projects and programs that cover social, cultural and sportive areas. Established in 1998 in Cluj-Napoca, Softvision is now a big and global outsourcing company that provides great software product development services to their clients. Softvision expanded throughout Romania in Baia Mare, Bucuresti, Iasi and Timişoara. The company develops over 300 projects for over 100 clients from Europe and USA, in the following fields: software development, testing and quality assurance, mobile apps, UI/UX Design, support services and others. Softvision is renowned for its Top 500 Fortune, Silicon Valley and Wall Street clients: Microsoft, Toshiba, Alcatel, Sharp, Swisscom, Sprint and others. In 2016, Softvision merged with well-renowned US-based Company SPI (Software Paradigms International), thus becoming an International Company with offices also in Canada, Australia, Brazil and India. With the merger, Softvision gained new clients from the retail segment: Macy’s, Saks Fifth Avenue, Bloomingdale’s, Neiman Marcus, Lord&Taylor, Estee Lauder, Michael Kors. 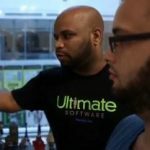 Softvision encourages their employees to work hard, play hard and to continuously learn through the Softvision University Program. This was developed to offer full support to every individual in the company to reach the highest professional development level in accordance with their potential. Softvision University comprises 11 communities: .Net, Android, iOS, Web, DB, QA, Java, C/C++, DevOps, PM and Artificial Intelligence. Edurom is a national company that has been successfully providing in Romania, since 2002, human resources services, based on two powerful and well known global methodologies: BELBIN and Situational Leadership -The Original Model. Moreover, EDUROM exclusively represents these methodologies in Romania. Thus, day by day, we are striving to: Build Leaders, Create and Develop PERFORMING Teams, and achieve significant Improvements of Productivity for our customers. Based on this, Edurom provides professional services in Training, Recruitment, AND Consultancy (Performance Management and Productivity Improvement). Since it was founded in 2005, Catalysts has managed to grow continuously without losing its highly informal, non-hierarchical and familial character that guaranteed its success in its very first years. Now the company has 12 offices in Austria, Romania, Germany and Uganda. Among its customers and partners are many hidden champions & world market leaders: the European Space Agency, the Volkswagen Group, Hyperloop Transportation Technologies, etc. All this has been possible due to the loyalty and determination of the 300+ employees. Catalysts is the inventor and operator of the Catalysts Coding Contest (CCC) – the largest onsite coding contest in Europe, which is organized twice a year, giving visibility to talented software developers. METRO SYSTEMS Romania offers complex IT solutions for the retail industry, such as Design, Quality Assurance, Support, Delivery & Deployment, Application Operation and Infrastructure Operation. METRO SYSTEMS GmbH provides information and technology management services for METRO. METRO SYSTEMS develops and implements commodity and logistics management solutions, information management and archiving solutions, database systems with customer information, cash register systems, e-commerce solutions and intranet systems as well as administrative systems. Since 2006, the year of the establishment of METRO SYSTEMS Romania, the number of employees has steadily increased to more than 900, and the company continues to expand. METRO is one of the largest and most important international commercial companies. The company operates in 35 countries and has more than 150,000 employees. Micro Focus is a pure-play software company focused from the ground up on building, selling, and supporting software. This focus allows us to deliver on our mission to put customers at the center of innovation and deliver high-quality, enterprise-grade scalable software that our teams can be proud of. We help customers bridge the old and the new by maximizing the ROI on existing software investments and enabling innovation in the new hybrid model for enterprise IT. SMEDIX Inc. is a global software development company focused solely on partnering with the world’s leading healthcare companies to transform patient care through innovative software solutions and technologies. We help bridge the development gap, enabling our customers to effectively commercialize innovative IVD products. Our industry-experienced leadership and highly skilled global engineering team have broad capabilities to address the software needs of our customers. We handle the full software development lifecycle of clinical diagnostic and medical device products by providing services in software development, software verification & validation, and regulatory compliance consulting. Additionally, we are growing teams who are subject matter experts and specialize in areas such as instrumentation and control engineering, machine learning, bioinformatics, remote diagnostics, cloud applications, laboratory information interfaces, test automation, mobile applications, globalization and localization. With presence in the United States and Romania, we learned to transition from synchronous to asynchronous collaboration and boost productivity while maintaining the highest quality product. Our engineers understand that safety and quality form the essential foundation of medical device software and that continuous self-improvement and transparency enable us to build effective and successful long-term partnerships. We aspire to maintain our strong cultural working environment while steadily growing the business year over year. As the global innovator in language translation solutions, SDL is listed on the London Stock Exchange and is a constituent of the FTSE 250 Index. With 1,500 enterprise customers, 400 partners and a global infrastructure of 55 offices in 38 countries, SDL is transforming business by enabling nuanced digital experiences with customers around the world. Gnex represents a new concept regarding drones and gadgets, that brings fun and professionalism together. Our specialty are drones, as we are the biggest drone importer in Romania. With the help of these innovative products, we can explore, visualize and perceive everything around us. Also, we can provide you with a large range of electric transporters, like scooters and electrical bicycles, Ninebot products and hover-boards. Being passionate about technology and innovation, we want to bring the latest international trends in Romania trough e-commerce but also through our presence at IT and Technology conferences. Siemens is a global technology powerhouse that has stood for engineering excellence, innovation, quality, reliability and internationality for 170 years. It focuses on the areas of electrification, automation and digitalization. Corporate Technology (CT) department is Siemens’ central research and development arm and plays an important role in Siemens Romania. Scientists and engineers, mathematicians and software developers here work hand in hand with Siemens’ business units to identify the technologies of tomorrow and leverage them in support of the businesses. Our aim is to ensure that their developments prevail in the marketplace and become true innovations. We are both a creative driver of disruptive innovations and a partner to the Siemens’ businesses, offering them high-quality research and development. In Romania, we are present in Cluj Napoca, Brasov and Bucharest and have a comprehensive portfolio of research activities, software development and technology-based services which supports Siemens’ business in the fields of Electronic Design, Business Analytics, Image Analytics and Cybersecurity. We are also active in the services and IT solutions areas where we develop and carry out automated testing for web, mobile and SAP based applications. The R&D Center in Cluj Napoca offers a comprehensive portfolio of software development activities and technology-based services in order to support Siemens internal customers in meeting the demands of digitalization. Our portfolio includes two main areas of responsibility: services (namely maintenance) and IT solutions. In the service sector, the center acts as an internal helpdesk for various Siemens platforms, for example in the area of maintenance and development of internal SAP systems. The IT support services cover all levels: from 1st level support until 3rd level support. In the IT Services and Solutions sector, web, mobile and SAP based applications are developed (using SAP ABAP, C#, .NET, Java programming languages) and automated testing is carried out. We’re a team of experts building data and software that enables the detection and prevention of financial crime including corruption, money laundering, bribery, human trafficking and terrorist financing. We own and develop our own products, therefore we require all of our team members to have a holistic understanding of the problems that our clients face and the range of technologies that can be brought to bear on these issues. The company was founded in 2014 and since then has grown rapidly as clients around the world have adopted our solutions ComplyAdvantage now has 180 people across Cluj, London, New York and Singapore. After securing our Series B investment round of $30 million and tripling our revenue in the past year alone, we’re growing fast and are looking for the best people to join us. AXON Soft is a leading provider of high-performance software development and IT consultancy services. With over 20 years of experience, they leverage their highly skilled technical team to reach their customers’ most challenging projects. From the very beginning, AXON Soft pushed boundaries and did their best to grow in a way that they can feel proud of. Their teams worked for Western Europe companies, became professionals in working from remote locations, and adopted modern methodologies. Moreover, they always keep up-to-date with technology trends. Over the years, AXON Soft teams’ dedication brought them successful results. They developed 2 software applications that have entered in top 10 worldwide for their business area – logistics and workforce management. With persistence, experience, and leadership, AXON Soft ensures the quality and success of digital transformation. Through innovation and cutting-edge technology, they bring value to their clients’ businesses, while they are responding to tomorrow`s challenges and opportunities. At JetBrains, code is their passion. For over 15 years they have strived to make the strongest, most effective developer tools on earth. By automating routine checks and corrections, their tools speed up production, freeing developers to grow, discover and create. The HUB from Piatra Neamt is a consistent binder for the entrepreneurial ecosystem in the region. They dare to challenge those who are willing to join the community through initiative, transparency, courage and determination. Whether it’s entrepreneurs in the making, professionals in the business area, companies eager to invest, starting or mature startups or simply connectors and facilitators, each one and all together are the essential part of the HUB’s mission and contribute significantly to its story. The HUB aims to increase the entrepreneurial environment and support it for the long term, but for that, they need reliable players to join and act accordingly. In that sense, they are addressing companies that are open to honest dialogue and focused on the real needs of entrepreneurial dynamics within the region, and such companies have already joined the HUB. They want to generate the energy and the creative spirit that excite and support people in their entrepreneurial challenges. All these goals will be materialized through a series of programs, events and services that will serve the entire regional entrepreneurial community, activities that have already been tested and validated with the target group. Codecamp Iasi will be back on April 6. Don’t forget to register here. Free access. Mambu is helping financial institutions to rapidly deliver business value in a constantly changing market. Our leading cloud-native solution is the driving force behind our clients as they grow, scale and transform to meet evolving digital demands. We believe that a great company is built on great people. We are proud to have brought together incredibly bright minds to help make financial services ready for the 21st century. Our clients understand what it takes to succeed in a fully digital world and our team is a trusted partner in their endeavors. Maxcode builds and delivers payment and identification software. We have years of experience in offering solutions for Banks, Payment Service Providers, and merchants. These solutions vary from modules that allow merchants to connect with their bank to complete billing transaction-based systems. As a Fintech constructor Maxcode excels in the development of online payments and electronic identification. Components developed by Maxcode are based on the newest technology, built by engineers who are experienced developers, and also bring years of knowledge on the concepts behind many used payment methods and identification protocols. They are your partner in developing ideas about new or improved services utilizing xs2a (Access to the Account) opportunities provided in the most recent Payment Service Directive. Bytex is an on-growing company, providing software solutions for both big and small companies, because we believe that, regardless of the experience, there are always means of improvement. We’re employee oriented, we invest in our teams and provide ideal working conditions, from office perks to a quite flexible schedule. We’ve partnered up with several collaborators to craft well-rounded web products and we’re contributing in developing the newest solutions in fields such as networking, cybersecurity, cloud & storage and IoT. Hardly any other market develops as fast as eCommerce does. With our expertise, we help our customers to maintain an overview – before they even start. Our software solutions enable us to fully automate the ordering processes – from the first contact in the online shop to workflow-optimized print production. Sophisticated and intelligent online editors, a search engine friendly structure, as well as optimal interfacing, round out the performance portfolio of our software. As a team, we offer active, competent and reliable support to our customers on their way into the Cloud, with a special focus on fast and friendly customer service and support. The cognitiveSEO toolset is a complete digital marketing solution and most likely, the only SEO tool you’ll ever need. The tool flags all possible SEO issues and provides recommendations on how to fix them so that you can experience increased rankings and traffic in a matter of days. Our all-inclusive tool covers all the needs an SEO Pro, webmaster or digital marketer might have along with efficient solutions on how to increase any website’s traffic: a comprehensive Site Audit, all the on-page & off-page factors that influence Google rankings, keywords research & rank tracking, content optimization, in-depth backlinks analysis, Google Penalty prevention and recovery, social visibility and much more. CRF Health is the leading provider of patient-centered eSource and telemedicine technologies and service solutions for the life sciences industry. With experience in more than 800 clinical trials, over 100 languages and across 74 countries, CRF Health’s TrialMax® platform consistently demonstrates the industry’s highest data accuracy, patient and site compliance, and patient retention. Its recent acquisition of mHealth provider Entra Health, has allowed CRF Health to extend the connectivity of its existing technology to now include cloud-based remote patient monitoring, telehealth, data exchange and analytics. CRF Health’s eSource solutions improve trial engagement by making the patient the center piece of the healthcare and clinical trial process, and seamlessly integrating into sites to maximize protocol compliance. The integrated TrialMax platform includes eCOA solutions for collecting PROs (Patient Reported Outcomes), ObsROs (Observer Reported Outcomes), ClinROs (Clinician or Rater Reported Outcomes), and PerfOs (Performance Outcomes), and features TrialConsent™, an electronic solution for collecting informed consent in clinical trials. For over 30 years ESET developed top of the industry software and security services. With solutions varying from endpoint and mobile dedicated security solutions to encryption and 2-factor authentication, the high-quality products of ESET offer consumers and companies the safe working environment they need to reach their true technological potential. The company is supported by research and development centers from all around the world and in 2017 ESET came to Iasi, Romania. More than 100 million users worldwide trust the ESET solutions, making it one of the most recommended security solutions in the world. Challenges. Opportunities. Growth. Fun. Great teams. Creative freedom. Trust. Empowerment. These are some of the words people use to describe their careers at Yonder. Yonder develops software products and, at the end of the day, their work translates not just into lines of code, bugs solved or features created, but into the impact and sustainability of applications for tens of thousands of users in the USA and across Europe. This means that they take a big step forward in their personal and professional development each day. Moreover, as part of Total Specific Solutions (TSS) in the Netherlands and Constellation Software Inc. in Canada, they are part of an international business environment and have access to an extensive network of professionals and great best practices to learn from and follow. And the most exciting thing? They’re just getting started even if they have over 20 years of experience. CompuGroup Medical provides modern IT solutions which are in step with the latest developments in the field of medicine and which meet the needs of the healthcare sector. This enables users to store, exchange and access medical information when and where they need it, improving their performance and benefiting patients whilst savings costs. Their solutions work for people who care about health by providing them with relevant medical information and data anywhere and anytime they require it. We provide high-value data, news and analytics that powers business growth for financial and professional services firms worldwide. Using our products, Acuris subscribers can find opportunities and make the bast decisions based on the strongest evidence. StreamUnlimited is a technology powerhouse in the field of IoT and streaming audio multi-room and voice-assisted solutions. Our offering comprises engineering services, hardware modules and software solutions (embedded Software and Applications). OSF Global, with its brand OSF Commerce, is a top digital Cloud transformation specialist and leading global commerce solutions company. Winner of the 2018 Salesforce Lightning Bolt Trailblazer Award for Retail and Salesforce’s 2016 Partner Innovation Award in Retail, the company provides technology, consulting, implementation and online shop management services to emerging and premier brands, and merchants focused on building Multi-Cloud and Unified Commerce projects using Salesforce Clouds and other top-tier cloud technologies such as Sitecore and Adobe. OSF’s agile approach allows the company to scale global growth more quickly and enable businesses to enhance customer experience. With over 120 ongoing projects and eight years of worldwide deployments, OSF delivers innovative digital solutions across channels, devices, and locales. Casa Auto is part of Tester Grup, one of the first entrepreneurial businesses in Iași and Moldova, a solid and dynamic group of companies with a history of nearly 25 years, operating in areas like car dealership, real estate, car sharing, manufacturing, insurance broker and HoReCa. Casa Auto is the largest automotive complex in the region and the dealer with the highest number of brands represented in Romania. With 13 brands in its portfolio and the largest second-hand car park, Casa Auto is a benchmark in its field representing some of the most renowned auto brands in the world (Mercedes-Benz, Hyundai, Mitsubishi, Jaguar, Land Rover, Mazda, Honda, Dacia, Nissan, Citroen, Peugeot, Opel, Renault), constantly aiming to reinvent itself in order to exceed the expectations of their customers. Ness Digital Engineering is an innovative custom software development firm Ness Digital Engineering provides digital transformation and custom software product engineering services to help organizations envision, build, and continually evolve their digital platforms to enter new markets, capture new revenue and gain operational efficiencies. Their global team enables clients to compete and grow in today’s digital economy by providing deep expertise in experience engineering, product and platform development, and data analytics. Ness’s strength is the ability to provide a seamless blend of creative design and user experience engineering, combined with a rigorous, productized approach to digital platform development and data analytics. Product engineering is central to the company’s heritage. Using their Ness Connected framework, they help companies define and develop the right digital products and services faster to significantly accelerate time to market, improve customer engagement and reduce business risk. 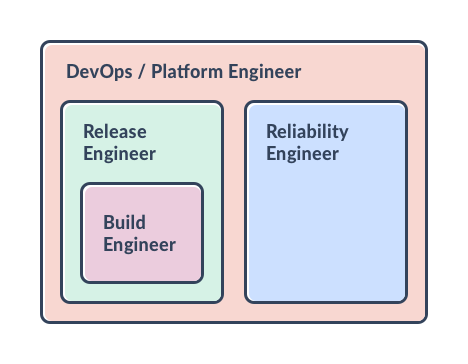 As a custom software development firm, Ness believes digital platform development and product engineering requires a fundamentally different approach than running traditional enterprise IT services or providing staff augmentation. Codeless is a highly technical, client-focused organization that supports companies with their digitalization and complexities of doing business on a global scale. The Codeless team covers over 40 industry professionals. Its business model is to provide software-solutions that are user-friendly, efficient and according to the Mobile & Cloud first principle. Their solutions are defined by the latest technology, high level of user-friendliness and beautifully designed User Interfaces. Technology has become a dominant factor for companies. In the last decade, companies have become more and more IT-driven and software is now at the core of everyone’s business. The demand for software developers has risen and companies struggle to finish their projects in time due to decreased capacity. Codemore wants to enable those companies to push forward on their digital ambition by offering best in class software developers. We are a pragmatic company that firmly believes in using tools and technologies that boost productivity. That is why our colleagues are skilled in both conventional programming and also in Low Code platforms. We aim to deliver what matters most to customers while making the time to market as short as possible. Two programming aficionados, Daniel Dines and Marius Tarca, both Romanian, started writing the history of UiPath more than 12 years ago founding DeskOver – a software outsourcing company. The firm was building automation libraries and sharing them with developers from all over the world and software development kits for other organizations such as IBM, Google, and Microsoft to embed in their own products. Our code was and is still used on literally millions of machines around the world, part of different products. In 2012, the team has realized the market fit with Robotic Process Automation (RPA) and started orienting resources towards building a platform for training and orchestrating software robots, and one year later they launched the first UiPath Desktop Automation product line based on Microsoft Workflow Designer – specifically targeting the RPA market. It was the year the company initiated its first RPA journey with Sutherland and Dell to automate business processes. Already hundreds of processed were being automated using UiPath. In 2015, DeskOver became UiPath, and concluded its first partnerships with several global BPO & Consulting Firms such as Cognizant, Capgemini, Symphony, NIIT, Genfour, Virtual Operations, Symphony. Hundreds of processes began to be automated using the UiPath RPA tool. A stream of international recognitions followed suit – Aecus recognized UiPath as a Prominent Technological Innovator, Horses for Sources positioned UiPath in the Winner Circle of their RPA blueprint. In April 2016, UiPath oversaw the launch of Front Office and Back Office Server suites and also made available the Studio Community Edition reaching 10,000 active members in 6 months. 2017 was clearly the year of global expansion for UiPath. In April, the company raised a $30 million series-A funding led by Accel to assist with company expansion and product development, focusing on Artificial Intelligence capabilities. UiPath continued to grow – teams scaling up and new locations opening globally: Tokyo, Singapore, Australia, Paris. UiPath Academy was born allowing thousands of people worldwide train with the UiPath RPA platform solution. UiPath’s footprint in the automation industry kept being acknowledged with several honoring titles – a global Leader and Star Performer in RPA (Everest Group), and – based on superior technology – as RPA industry leader (Forrester). UiPath debuted its UiPath Forward event series in New York, which then continued to London and Bengaluru amassing more than 2000 customers, partners, analysts, thought leaders in the field of RPA to discuss its future and the impact on work and society. At the beginning of this year, UiPath became a unicorn company! It raised $153 million Series B funding led by Accel, with Capital G (former Google Capital) and Kleiner Perkins Caufield & Byers as co-contributors. UiPath became the only RPA vendor to be named a Leader and Star Performer for two years in a row by the RPA PEAK Matrix survey conducted by Everest Group. Half a year later, UiPath raises a new $225M funding Series C led by @CapitalG and @SequoiaCapital, becoming one of the fastest growing enterprise software companies in history. UiPath is currently the enterprise RPA platform with the widest rate of adoption. More than 1800 enterprise customers and government agencies use it to rapidly deploy software robots. UiPath’s presence extends now to 16 countries throughout North America, Europe, and Asia, and employs more than 1700 people. E.ON is a privately-owned international energy company. Our 40,000 colleagues in 13 countries work daily towards the improvement of technical innovations and user-friendly customer solutions for the new energy world. We are the first large energy company to focus more heavily on the energy of the future through our three business areas of energy networks, renewable energies and customer solutions. E.ON Software Development (ESD) is a recent E.ON group initiative. We are an Agile Delivery Facility that mainly focuses on insourcing strategic international and local developments and securing E.ON Group competitive business knowledge. We are now creating a high quality, world-class Romanian Team in Iaşi and a global software services E.ON hub in Bucharest. ESD believes that IT is less about doing things in a particular way, and more about moving the business forward and giving it a stronger technological advantage. We are shaping the global energy future under one of the biggest brands in Europe on the energy market, E.ON, in sixteen countries. We grow our culture in an Agile way, DevOps mindset being the backbone of our company. We built our foundation on a Design Thinking approach to meet our user’s expectations. the chance to pick what you want from a wide range of benefits. From gym to holidays, from food to local transportation pass. There are so many, that we don’t have enough space here to write them. Since 1919 the name Preh has stood for technical innovation and the flexibility typical of mid-sized German companies. Our company, which started out as a component manufacturer for the radio industry, gradually developed into a pure automotive supplier. Today we are a leading global automotive supplier group with €1.176 million in sales and more than 6.600 employees in Germany, Poland, Portugal, the U.S.A., Mexico, Romania and China. Preh’s particular strengths include the high percentage of research and development done in-house and its extremely high degree of vertical integration. As a result, customer requirements can be implemented flexibly and quickly. And with the “Pre(h)mium Quality” that we are so proud of. At the end of 2012, the Joyson group in Ningbo, China acquired 100% of the shares in Preh and integrated the company into the Liaoyuan Joyson Electronic Corp., which is listed on the Shanghai Stock Exchange. This step completed the systematic merger of the two companies so that they could push ahead on further developments in all areas. At Preh the people-oriented environment that is typical of small and mid-sized German “Mittelstand” companies is combined with the dynamism and creativity of a modern technology-based enterprise. UniCredit Services is the UniCredit’s global services company created from the integration and consolidation of 16 Group companies and is dedicated to providing services in the sectors of Information and Communication Technology (ICT), Back Office and Middle Office, Real Estate, Security and Procurement. It is one of the first service companies to be created at European level and its’ aim is to consolidate and reorganize those operational activities necessary for the correct functioning of the Groups’ business by leveraging on a more flexible delivery and an improved response time. camLine offers software solutions for manufacturing excellence. Their products, services and solutions are recognized as first-tier in high-tech manufacturing. There is an underlying reason for this; one that, in itself, is imperceptible, but permeates every aspect of every solution the camLine team delivers. It is know-how; the culmination of consciously and patiently developing the right blend of products, first-team services, a creative and intelligent team that supports and functions as one, and management leadership that oversees and sustains the continuity of threads of expectations and excellence. Implementing a camLine solution is based on own software brands and inspires an inclination to reach higher. camLine, as your partner, can ensure your ongoing manufacturing operations are optimized and enhanced to reach and sustain Manufacturing Excellence. The HUB aims to increase the entrepreneurial environment and support it for the long term, but for that they need reliable players to join and act accordingly. In that sense, they are addressing companies that are open to honest dialogue and focused on the real needs of entrepreneurial dynamics within the region, and such companies have already joined the HUB. They want to generate the energy and the creative spirit that excite and support people in their entrepreneurial challenges.